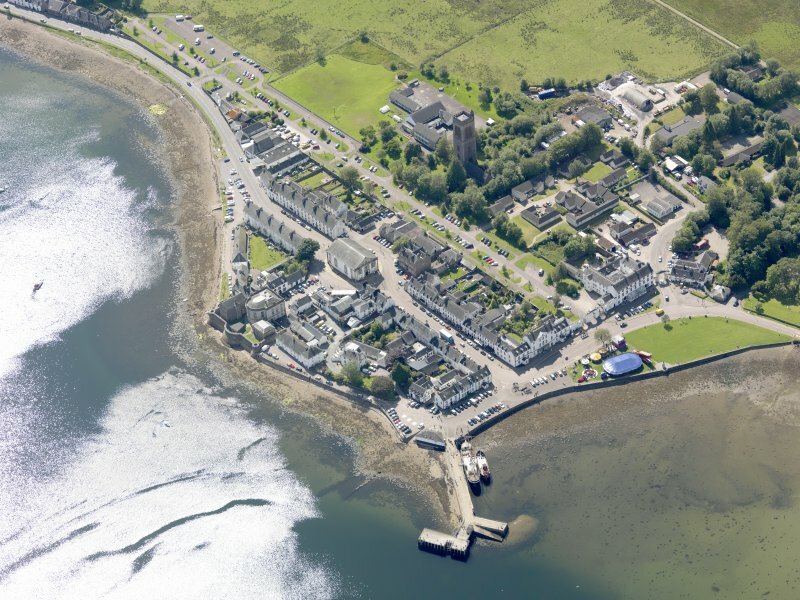 Oblique aerial view of Inveraray, taken from the ENE. 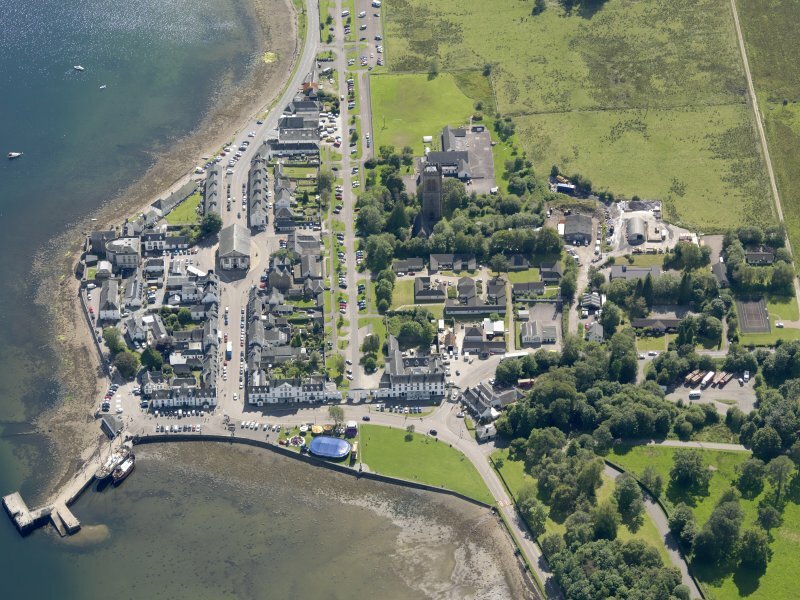 Oblique aerial view of Inveraray, taken from the SE. Inveraray, Court House. 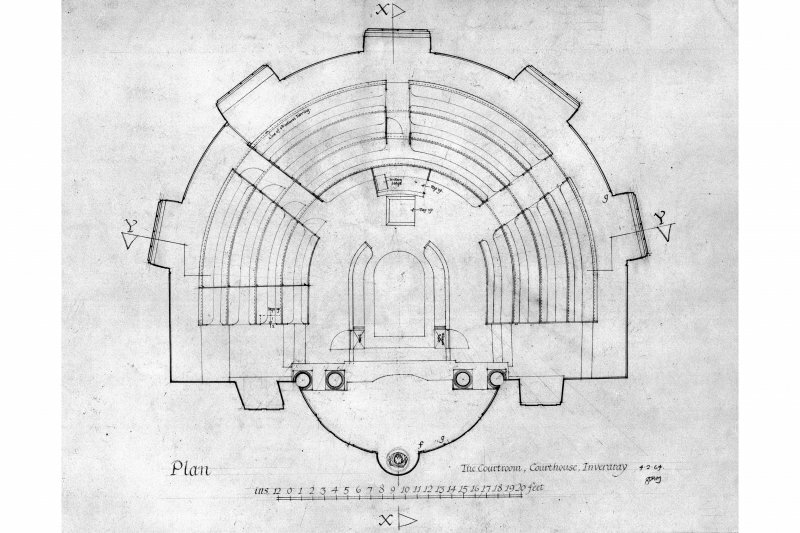 Photographic copy of plan of courtroom. Pencil. 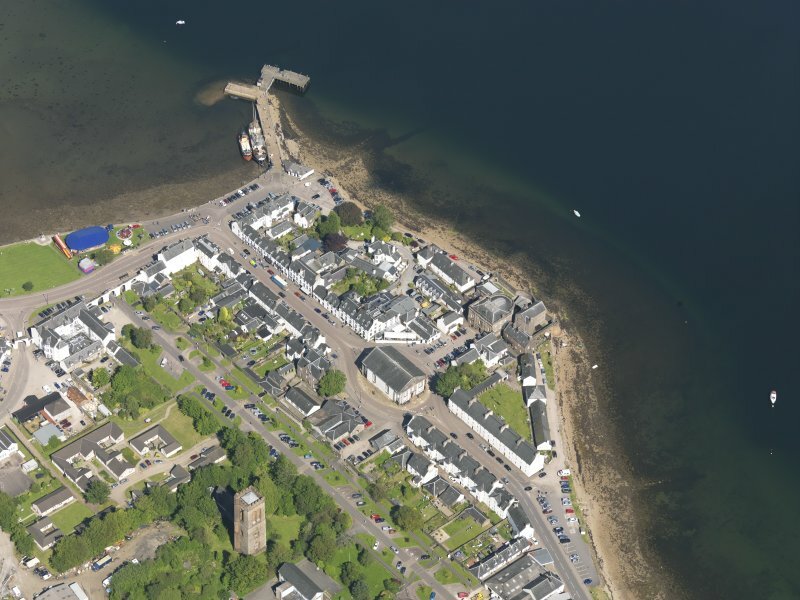 Oblique aerial view of Inveraray, taken from the WSW. Inveraray, Court House, Crown Point. General view. Inveraray, Courthouse. View of West facade. 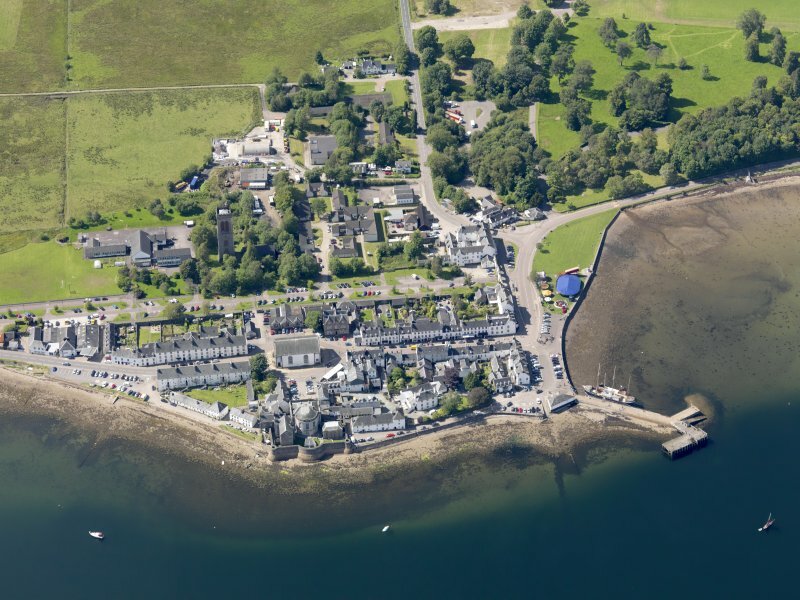 Oblique aerial view of Inveraray, taken from the NE. Inveraray, Courthouse. View of rear of building. Inveraray, Courthouse, interior. 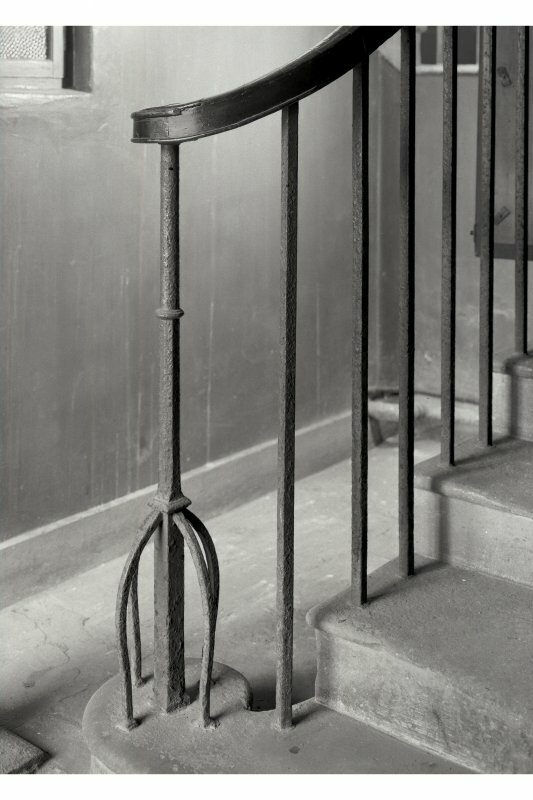 View of newal post on staircase. Inveraray, Courthouse, interior. 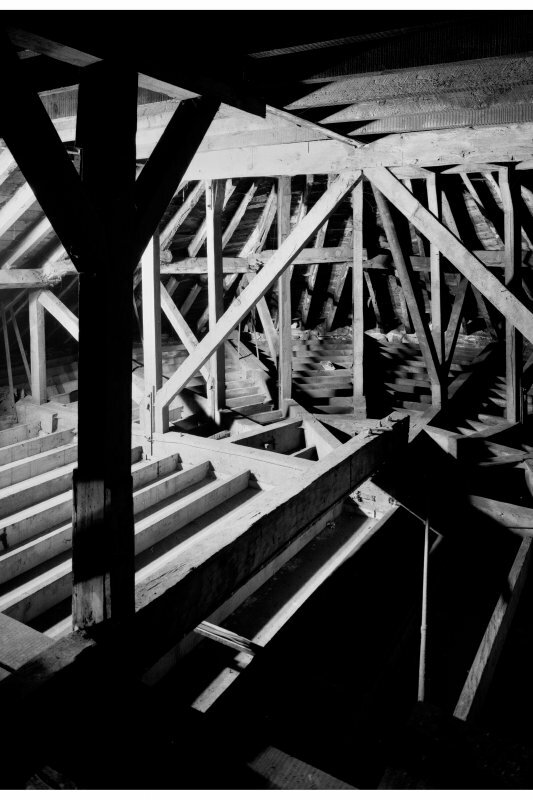 View of roof construction showing cantilever beam over courtroom. Designed by Robert Reid in Inveraray Castle Collection, 1807. John Adam design for two wings on Old Court House in Inveraray Castle Collection, posssible. James Peddie and Wm Lumsden contract to build, 1816-1820. Richard (?) Crichton enters plans for Inveraray Court House, 1812. NMRS copies of drawings in possession of Duke of Argyl, Robert Reid, 1807. The walled precincts of the former court-house and County jails occupy an area measuring about 45m by 24m on Crown Point. On the SE a substantial enclosure-wall incorporates two circular angle-turrets and a central rounded bulwark, on a massive battered plinth which rises from the shore of Loch Fyne (en.l*), while the main NW front of the court-house projects 10.5m into Church Square. 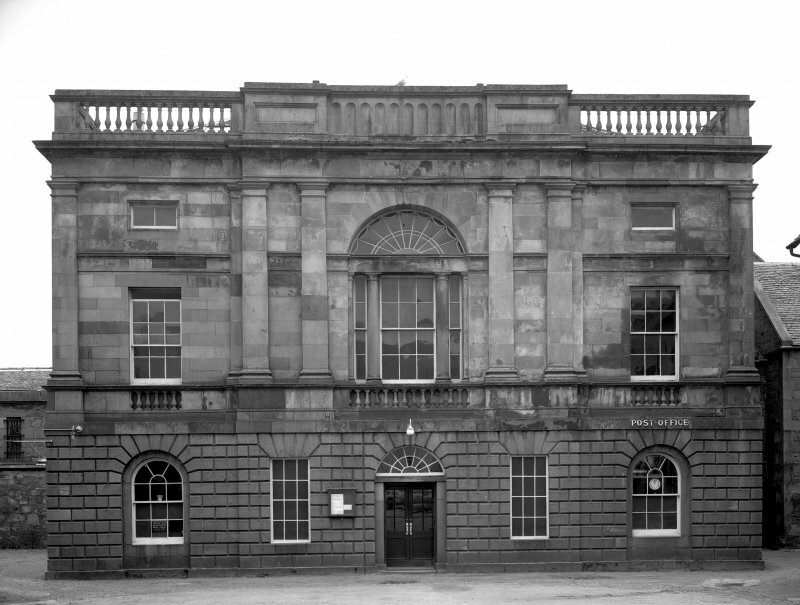 The court-house was erected between 1816 and 1820 to plans adapted by James Gillespie Graham from an 1807 design for the same site by Robert Reid. The contractors, William Lumsden and James Peddie, were both from Edinburgh, and the contract price was £5,858. The old jail, a detached two-storeyed block which stands immediately NE of the court-house, was also completed about 1820 as a debtors' prison and was used latterly as a female prison. 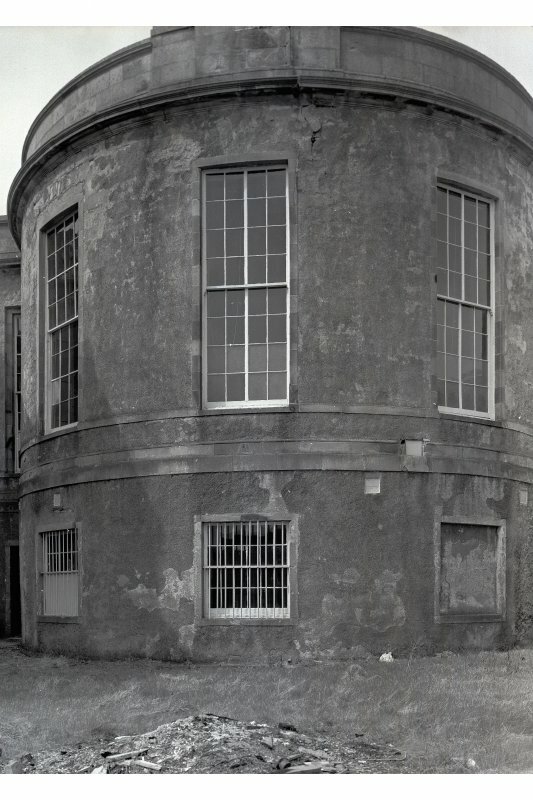 A three-storeyed 'new' jail was built as a felons' prison by Thomas Brown in the SW half of the enclosure in 1843-5. 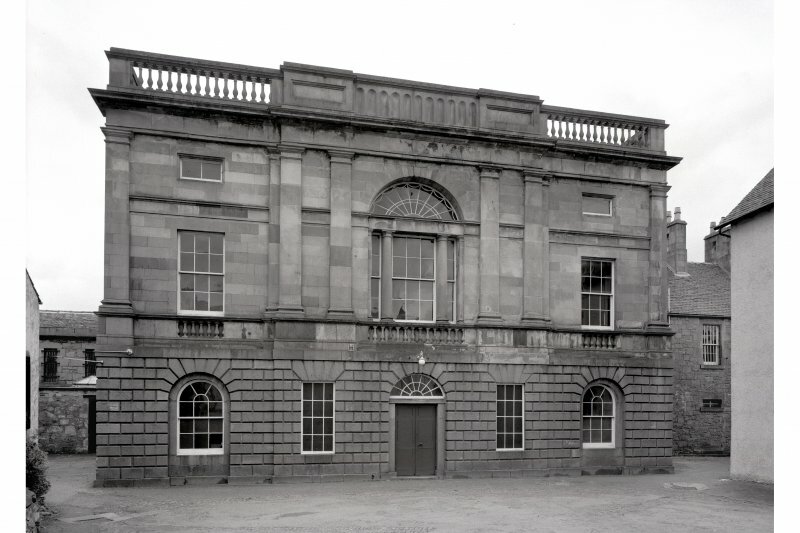 In 1869 a two-storeyed police block containing domestic and office accommodation with overnight cells was attached to the SW side of the court-house, and in 1931-2 a further block was added between the NE wall of the court-house and the1820 jail (en.2*).